This is the third story in an ongoing Long Beach Post series called Safe Streets, looking at the challenges of getting around in the city’s neighborhoods. Going back to school in the United States of America is full of traditions. There’s back to school shopping for crayons, scissors and construction paper. For Californians, there’s the packing of fruit snacks, foil blankets and other non-perishables for children’s earthquake kits in case the “big one” hits. For Long Beach students, up until this decade, one of those traditions was boarding a yellow school bus to be transported to and from campus. Bus service provided by the Long Beach Unified School District was discontinued in 2013, leaving students, who can’t walk or catch rides with their parents or carpools, to take Long Beach Transit buses to school. 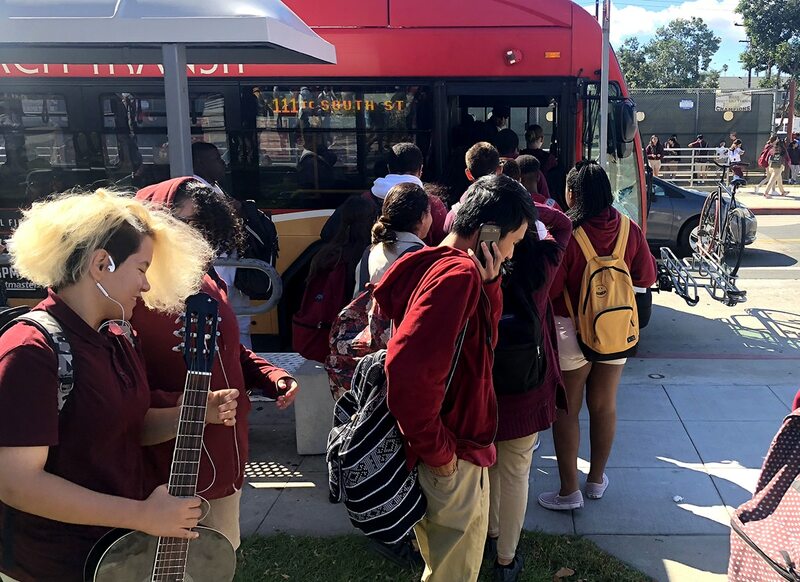 Every morning thousands of LBUSD students’ days start at quiet bus stops scattered throughout the city, the silence eventually being broken by the whoosh of bus hydraulics as their ride to school lowers itself to the curb for them to board. For some, the ride can be a few blocks, for others it could be 30-40 minutes as they travel to the opposite end of the city. Those figures were recorded during peak boarding times—6-9 a.m. and 1-4 p.m.—and include trips taken on 30-day TAP passes, stored value student passes and cash payments, which the agency says comprises about 95 percent student fares. But what is it like for this generation of students who, instead of boarding the yellow buses of yesteryear, pile onto public buses everyday? Aulai travels from North Long Beach to attend Poly, and says the trip takes about 30 minutes. He pays the standard fare of $1.25 each way—an additional 50 cents each way if more than one bus is involved—in cash each day instead of with a preloaded card. Stefany Ruiz, who is also in her final year at Poly, has been riding the bus since middle school when she traveled across the city to Bancroft. While she now walks to school, she recalled the times she took the bus to East Long Beach to attend Bancroft Middle School. The decision to travel across town to attend school was one that she said a lot of parents make to ensure their kids are in a good environment. LBUSD’s school choice policy has enabled parents and students to attend schools that are not geographically close to them, but may better suit the needs of the students or calm the concerns of parents over safety and quality of education. LBUSD Board of Education Member Megan Kerr remembers riding the 7 Line to St. Anthony’s High School in Downtown as a youth because she didn’t have a choice. She also remembers sending one of her children to Millikan on one of the district’s last bus routes before it was completely phased out, and another to Poly on a public bus from their home in Bixby Knolls before eventually resorting to carpools. Kerr added that while some parents opt to send their kids to schools clear across the city because of perceptions about their home schools, declining enrollment —a factor in the district eliminating the bus service in the first place—combined with the construction of new high schools is helping students who want to stay closer to home avoid long bus trips. Mayra Marroquin, a 15-year-old sophomore at Wilson High School, is not one of those students. She makes a trek across town from her home in Central Long Beach to Wilson because her parents wanted her to be in a safer environment. She, like many students, said that riding public buses can get dicey sometimes, and in the past people experiencing homelessness or others with mental health issues or those who appear intoxicated have caused delays for a variety of reasons. But the delays are not limited to non-students. 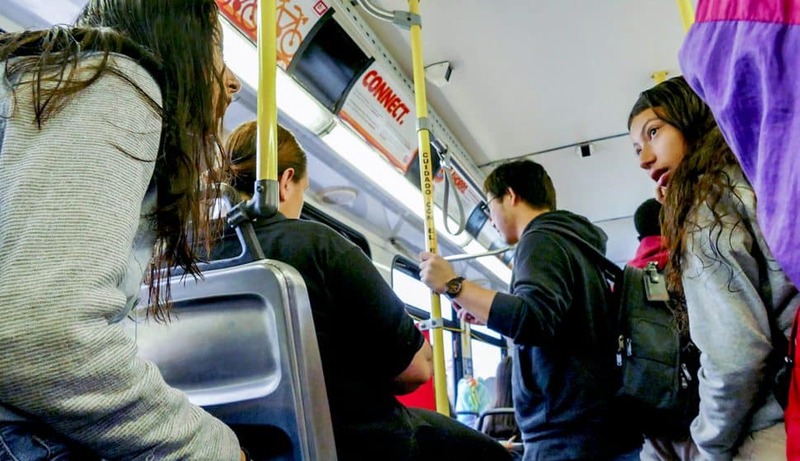 While the code of conduct on campus is supposed to extend onto Long Beach Transit buses, students report rowdy bus rides home, some resulting in extended stops while campus officials responded. Marroquin said students will sometimes opt to exit the buses and walk the rest of the way to school to avoid being late. She added that most of the bus drivers are really nice. What could be improved about the riding experience? 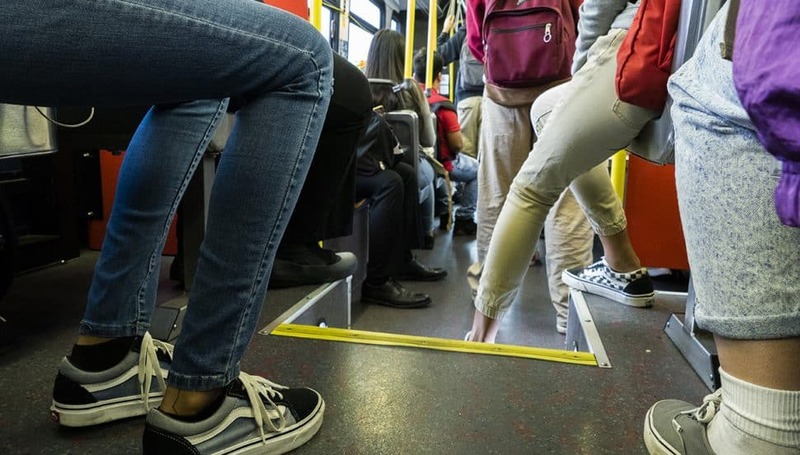 Marroquin said bigger buses could help during the after school crunch where students are already crammed in, but sometimes are asked to exit when the driver needs to make space for people in wheelchairs. She added that there should be more of a discount for students, like there was when she attended school in Los Angeles. Rides were 75 cents cheaper for student passengers, she said. 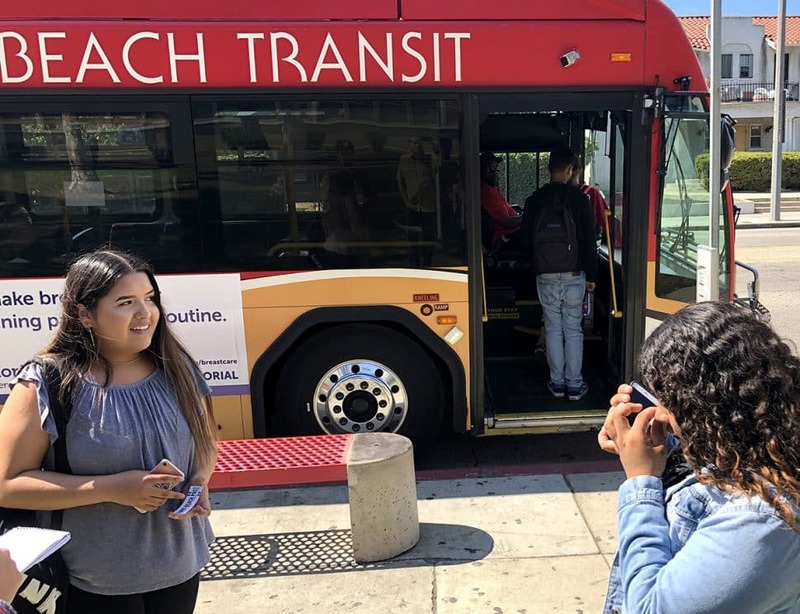 Michael Gold, spokesman for Long Beach Transit, said there are reduced fares for students and the agency is working hard to educate students and parents about them. It’s a process that could take up to eight weeks and requires parents to apply by mail and include a photocopy of a current report card, school ID, class schedule or a letter from a school official on school letterhead. 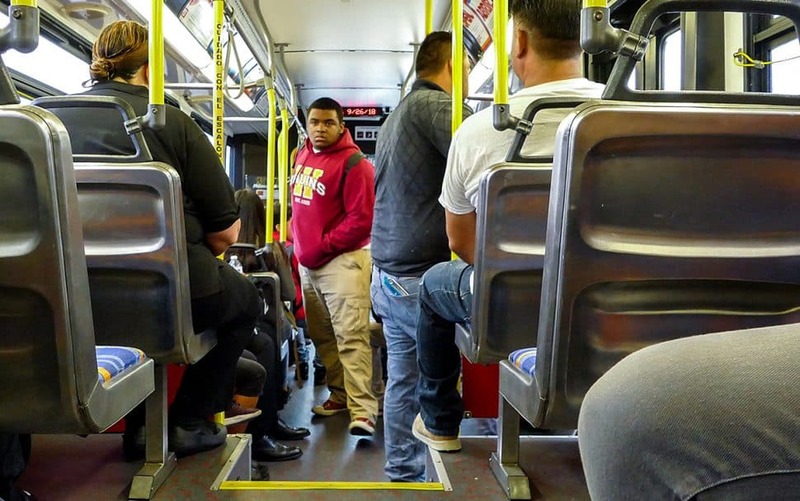 Gold said that the number of reported issues on buses has been minimal and that the agency has worked closely with individual schools when problems arise to reinforce the expected code of conduct while riding on Long Beach Transit. They’re also started to work with students to gain insight on how to improve the rider experience. “Rather than have a bunch of adults sitting around trying to figure it out we said, ‘Let’s listen to the students,’” Gold said. Gold thinks ridership can increase as the agency works to educate parents, who may not have experience on public transit, about safety and cleanliness of Transit buses. In time, they could eventually become lifetime riders like Aleah Garnica. Garnica began taking the bus to school from downtown to Millikan before graduating in 2006. Now an advisor, she still takes public transit buses to work. She said you eventually get used to the transit system and learn the less crowded lines like the “scenic route” which travels along Ocean Boulevard. “As long as there are constant buses it’s not too difficult. If you’re late or miss a bus there’s usually one that will come along in a few minutes, but that changes when you get to less serviced parts of town,” Garnica said.